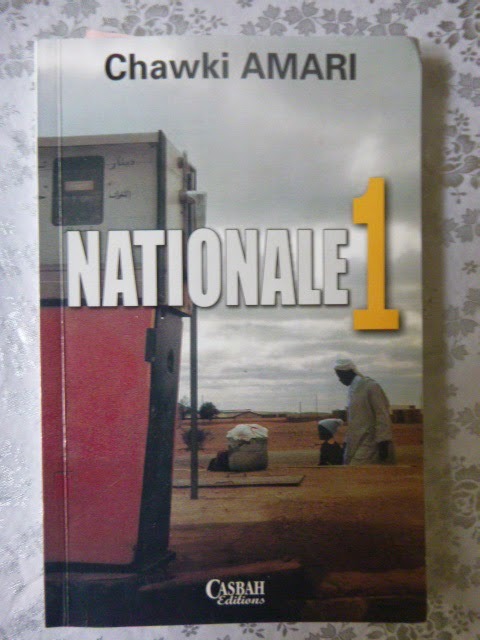 Chawki Amari published his novel Nationale 1 (Highway 1) in 2007. In it, he recounts the story of Kalim and his car Taos, both leaving Algiers to go and see Boudjemaa. He heads to In Guezzam, Algeria's furthest point South knowing that "Boudjem3a is not waiting in In Guezzam". Nationale 1 is also the story of Algeria, and the magic of its topography. Algeria is around 2,4 million km2. It is the 11th biggest country in the world. North-South, it begins from a coastal area with its toes in the Mediterranean, continues South, past the Tropic of Cancer, further than NATO's geographic limits for member countries, and finishes at In Guezzam, because, once upon a time, not so long ago, the coloniser's ball pen marked a spot on a map, to keep to himself underground water resources, otherwise rare in the area. Algeria's topographic variety is bewildering. Its upper area is contoured by the sea, its lower body by the third largest desert on earth. Algeria is made of rivers and lakes, mountains and ranges, valleys and steppes, forests and vales, oasis, plateaus, highlands. Natural groundwater sources and heavens (literally the name for gardens, jnan) are its beauty spots. And deserts. A plural noun that covers 85% of the surface, that encompasses many a type: sand deserts, rock deserts. And there are over twenty different names for dunes. Algeria's first highway, the Nationale 1 (Highway 1) crosses through it all. It begins in Algiers at Bir Mourad Rais, and ends in In Guezzam, 30 km away from Assamakka in Niger. It stretches straight across 2,430 km. Chawki Amaris tells us that it is as if you began a journey from Kansas at the Oklahoma border, and ended in Mexico. Or turned your car keys and engine on, in Syria and ended at the northernmost point of Yemen. 2.4 million km2. It is the size of 5 European countries, 700 million football fields, 400 billion parking spaces to park 400 billion Algerian cars that a potential 37.9 million Algerians may one day own, babies and all. Going straight down. Or up? Algiers is set at around 224m above see level and In Guezzam at around 400 m. When Northerners say they are going South they say they are going down, when Southerners say they are going North they say they are going down. "An arbitrary but fixed convention that does not exist in space" Amari says. Algeria's toponymy in the North is essentially anthroponymic, areas there bear the name of the first individual who has been attached to a place, or has claimed it. In the South, toponymy is essentially hydronymic and oronymic*, Touaregs looking for water and pasture gave areas the name that indicated their propensity to one or another. East-West. 1,000 km separate Ghazaouet from Tebessa. 1,800 km between Tindouf and Djanet. North South. 1,600 km between Wahran and Bordj Badji Mokhtar. From Annaba to Tin Zaouten 1,900 km. Between Algiers and In Guezzam there are 2,000 km, that is 2,500 km by road. 400 is a recurrent number in the Sahara, Amari tells us. 400 km between Ghardaia and El Meni3a. 400 km between El Meni3a and In Salah. 400 km between Timimoun and El Meni3a, 400 km between Tamarasset and Djanet, between Illizi and Djanet. 400 km between Adrar and Bechar. Why 400? It is an odd thing that 400 is an old counting unit. A caravan or a camel can cross 40 km per day over 10 days, 10 days being the average journey time in the Sahara. These are the magical stories about Algeria's topography that Chawki Amari's main character tells us during his magical journey south. Chawki Amari is a prolific Algerian journalist and novelist, based in Algeria. He has been publishing novels and short-story collections since 1996. His continues to write daily columns for the national newspaper El Watan. His column is titled Point Zero. He is a francophone writer.